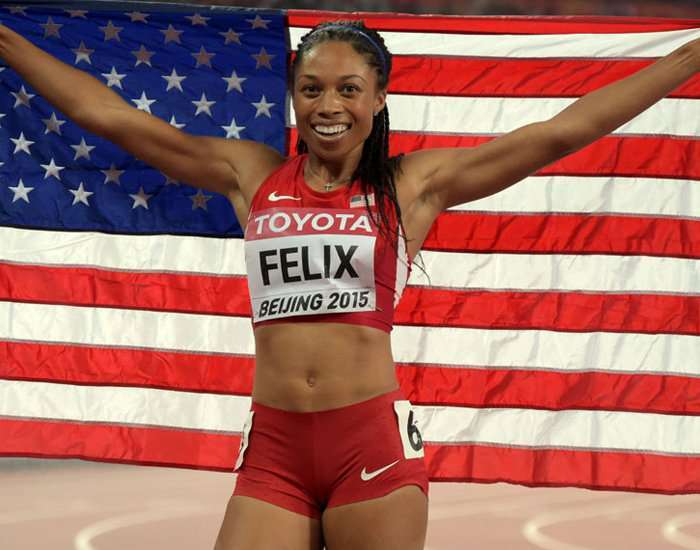 An American track and field sprinter, Allyson Michelle Felix was born on 18th November 1985. She is the only female track and field athlete who has earned six Olympic gold medals. Allyson won a gold medal in 4 x 100m relay at the 2008 Summer Olympic held in Beijing. Allyson earned 3 gold medals at the World Championships of 2007, held in Osaka, in 200m, 4 x 100m and 4 x 400m. A four time winner of the Jesse Owens Awards (Athlete of the Year) (which was given by USATF): in 2005, 2007, 2010 and 2012.